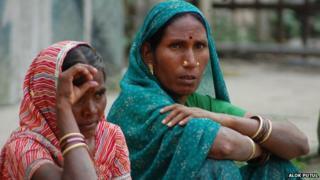 Why do Indian women go to sterilisation camps? Eleven Indian women have died after undergoing sterilisation surgery at a health camp organised by the government in the central state of Chhattisgarh. The tubectomy operations were carried out on 83 women in just six hours. Officials have denied negligence, but questions are being asked whether India's population control policy has serious flaws. Is India obsessed with family planning? India is the world's second most populated country with 1.27 billion people and it is predicted that the country will overtake China by 2030 to take the top slot. In 1947, when India became a free country, its population was a mere 345 million. That means in the past 67 years it has added more than 900 million people. Although India's birth rate has fallen in recent decades, the rapid increase in population is attributed to falling death rates and people living longer. Concerned over the growing numbers, authorities have been trying to convince Indians to have smaller families. India was the first country in the world to introduce a national family planning programme in the mid-1970s when it launched a mass campaign to sterilise men. According to estimates, more than six million men underwent vasectomies in just a year, until the campaign was abandoned after massive public anger. Delhi-based gynaecologist and health activist Dr Puneet Bedi says family planning has become "an obsession" with India. "We blame all our problems on population control, so we do these sterilisation camps. But because our public health services are poor, safety measures get bypassed." Do men and women face equal pressure over family planning? Sterilising a man through vasectomy is a much simpler procedure, but the number of Indian men compared to women who opt for sterilisation is very low. In a largely male-dominated patriarchal society where male sterilisation is still not accepted socially, with many saying it impacts a man's virility, the family planning programme has traditionally focused on women. It is estimated that 37% of all married women in India are sterilised. In 2011-12 alone, the government said 4.6 million women had undergone a tubectomy. State governments regularly organise mass sterilisation camps where doctors perform serial tubectomies on dozens of women from poor families. The women are often promised a monetary incentive if they undergo the procedure. Health workers, who convinced a woman to undergo a tubectomy, are also sometimes rewarded. Unlike in China, India does not have an official one-child policy but it has long used a policy of reward and punishment to control population. Over the years, the national - and state - governments have rewarded employees who have chosen sterilisation with more money or promotions. And those refusing to undergo sterilisation or who had more than a certain number of children faced restrictions. Paying people a cash incentive for sterilisation is against the law in many countries, but in India, state governments continue to legally pay some to undergo vasectomies and tubectomies. Sometimes, campaigners say, the incentives are taken to bizarre heights. In 2011, authorities in Rajasthan offered many prizes - motorcycles, television sets, food blenders and even a chance to win India's cheapest car Tata Nano. This is not the first time that sterilisation surgeries have gone so horribly wrong. In 2012, three men were arrested in Bihar for operating on 53 women in two hours in a field and without the use of anaesthetic. Although Indian authorities say the surgery is voluntary, campaigners say the programme often leads to women being coerced into sterilisation. Many women are forced by their husbands to undergo sterilisation for government incentives and benefits. A large number of surgeries performed at once help officials meet family planning targets but, Dr Bedi says, they are fraught with danger. "Targets are set - like cricket scores - to impress the authorities or funding agencies. But care for the patient is inadequate. Sometimes surgeons are not even properly qualified and there's no proper post-surgical care." Also, most women who come to these camps are poor and have little education and hence are unable to give "informed consent". "The women are told it's a very simple procedure, you'll go home in the evening, it'll be just one stitch on your stomach." Has India's contraception drive worked? Over the years, massive awareness campaigns launched with catchy slogans advising people to have fewer children - like "Agla bachcha abhi nahin, Teen ke baad kabhi nahin (The next child not yet, And after three - never)" or "Hum do, hamare do (We two, our two)" and finally "One is fun" - have helped. Mass distribution of free condoms have helped bring down the birth rate over the last three decades - from 5.7 children a woman in the 1960s to 2.7 now. Dr Bedi says instead of worrying about population control, India should aim for population stabilisation. And, he says, "we have reached that level. Even the poorest are now having at the most three children". India, he suggests, should make its own population policy - "the population needs to be checked, but women undergoing sterilisation must be able to make an informed choice, they must be told tubectomy is a permanent procedure". Is India's population policy sexist?